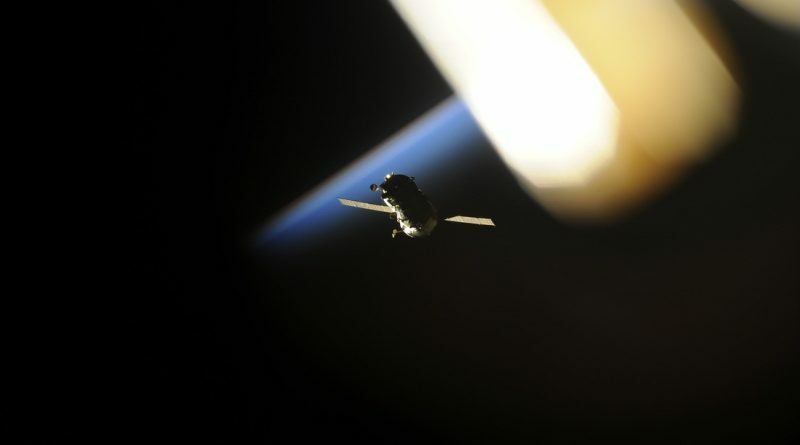 The Progress MS spacecraft is inbound for an automated docking to the International Space Station on Wednesday after passing its in-orbit tests, becoming the first Russian cargo craft to use a space-to-space satellite link for near-continuous communications with the ground – only one of the new systems introduced by the Progress MS series of spacecraft, also to be inaugurated on the crewed Soyuz in the coming months. 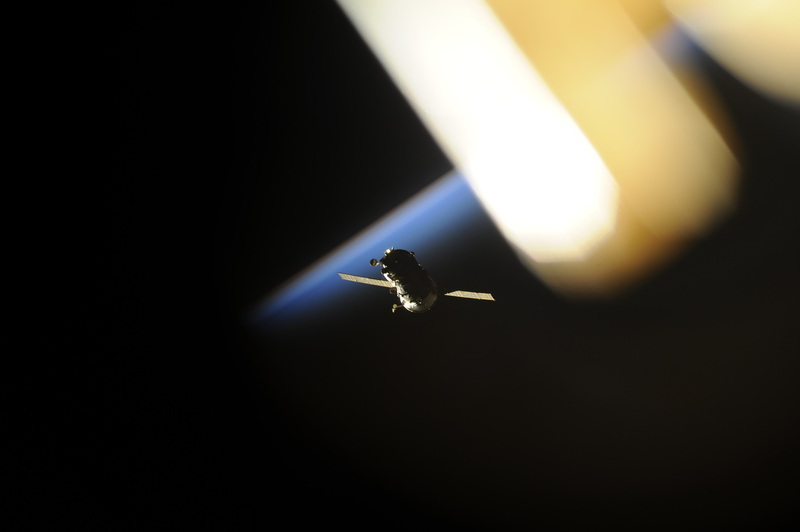 Progress MS will begin its fully automated rendezvous Wednesday morning for docking to the Pirs module at 10:31 UTC to mark the delivery of over 2,400 Kilograms of cargo and the start of a seven-and-a-half-stay at ISS. 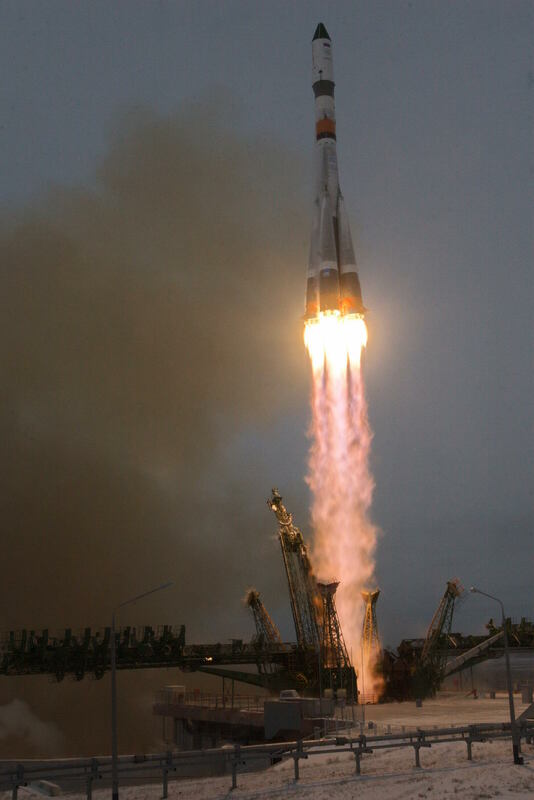 Progress MS blasted off atop a Soyuz 2-1A rocket at 8:44 UTC on Monday, receiving a smooth ride from the booster, making the return to flight with the Progress spacecraft after April’s failed mission involving the Progress M-27M spacecraft. 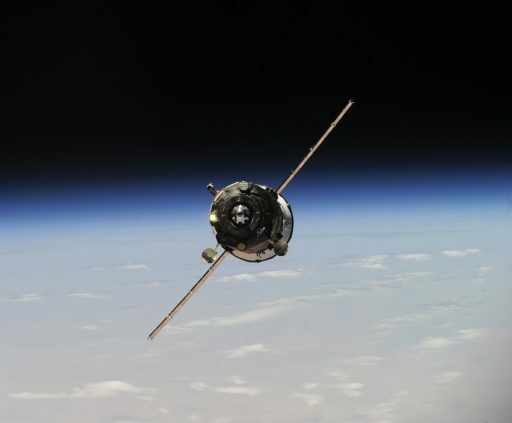 Nine minutes after liftoff from Baikonur, Progress was released into an orbit just 200 Kilometers in altitude. Immediately after separation, the Progress spacecraft delivered status data to Russian ground stations indicating that the separation was clean, confirming that the softer engine shutdown sequence was successful in avoiding a repeat failure caused by a possible build up of oscillations in the Block I third stage – Progress stack at the moment of the previously used rapid engine shutdown. Arriving in orbit, Progress MS was set to take the scenic route to ISS in order to provide sufficient time for in-depth testing of the new systems of the MS spacecraft series, with particular focus on flight controls and communications technology. Ten minutes after launch, the Progress spacecraft performed a re-orientation to point its new phased array communications antenna towards the Luch 5B satellite in Geostationary Orbit. Similar to the American Tracking and Data Relay Satellite System, Luch uses satellites in Geostationary Orbit to relay data to and from spacecraft in lower orbits to provide continuous communications during the majority of the craft’s orbit. This marked the first time a Russian crew or cargo craft made use of Geostationary Satellite Communications. Currently, Luch consists of three satellites and will be able to cover 83% of the spacecraft’s daily orbits. Ground stations will still be used for command uplink and telemetry downlink to Progress and Soyuz spacecraft and also serve a backup role in case of problems with the data link through Luch. On its third lap around Earth, Progress fired up its KTDU-80 main propulsion system for a pair of burns that placed the spacecraft in a 270 by 279-Kilometer orbit in its climb to the 400-Kilometer ISS orbit, continuing to catch up from behind and below. The rest of the day’s ground station passes were dedicated to checkouts of the new Unified Command and Telemetry System and the KURS-NA Navigation System in preparation for the fully automated rendezvous. A third orbit-raising maneuver took place on Tuesday morning and delivered the Progress to an orbit of 271 by 282 Kilometers, fine-tuning its approach trajectory to set up for the initiation of the automated rendezvous. The slow lap around the orbiting outpost will line the Progress up with the Pirs docking compartment at a distance of about 200 meters for a short period of Stationkeeping before committing the craft to final approach. Covering the final meters to Pirs, Progress prepare its docking mechanism for contact. Contact and Capture is expected at 10:31 UTC on Wednesday to mark the start of a seven-and-a-half-month stay and the delivery of 2,436 Kilograms of cargo.